The Ruffwear Approach™ Pack is an everyday pack with excellent performance, fit, and functionality. 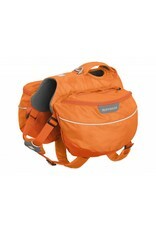 It provides dogs with the ability to efficiently carry a load, generating instant four-legged motivation to explore. The integrated harness enhances fit, pack stability and overall performance. 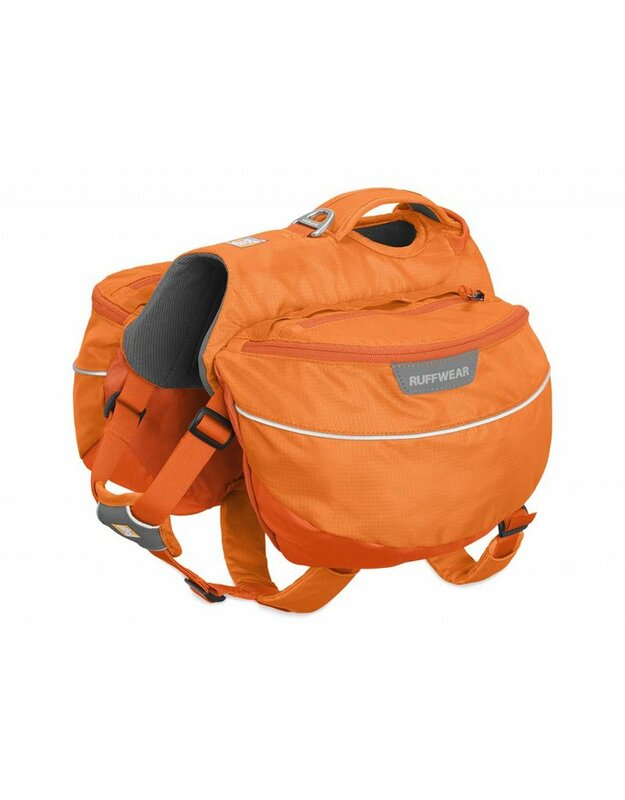 Radial cut saddlebags create a passive compression system that is form fitting and better load carrying. 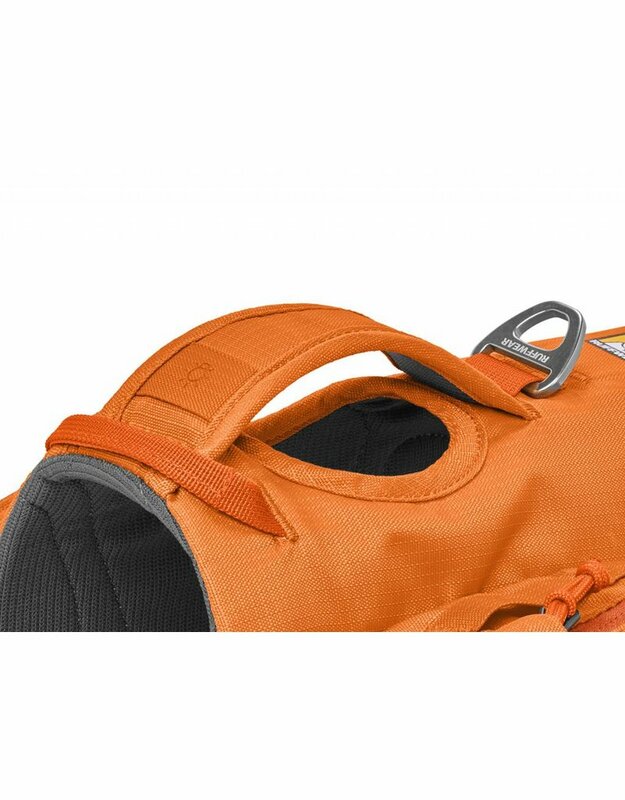 Combined with the lightweight materials and a streamlined design, the Approach Pack is comfortable and allows dogs to carry trail necessities. 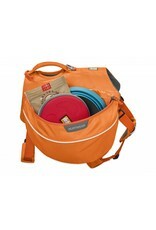 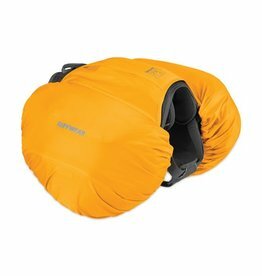 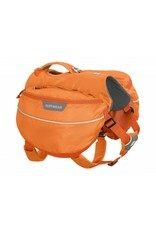 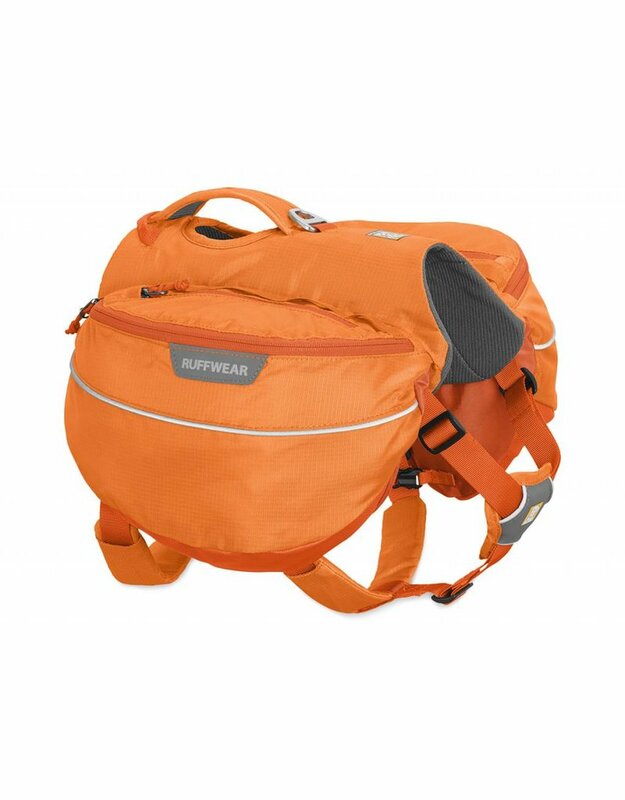 Great for day hikes and overnight adventures. 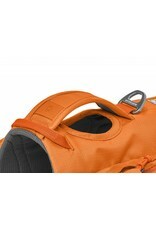 It’s recommended that your dog carry no more than 25% of its body weight in its dog pack. 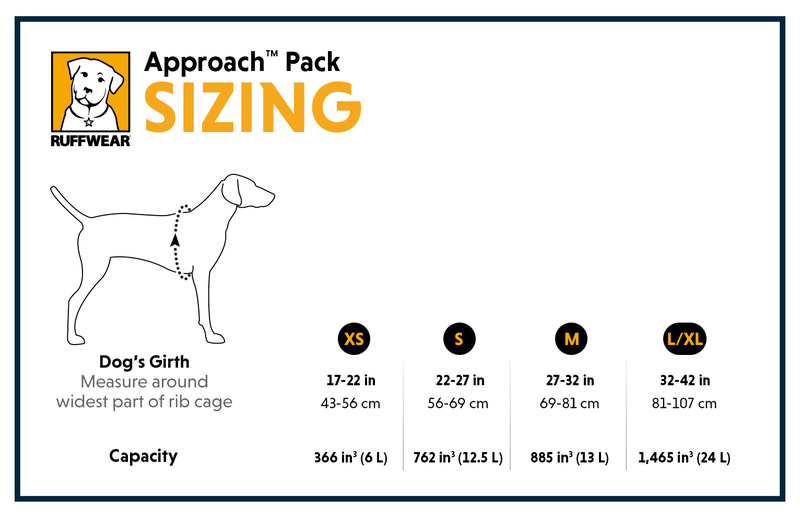 If your dog is new to dog packs, start with a light load and work up to a heavier load as your dog gets accustomed to wearing the pack.